Welcome to Impact Hub Tbilisi: a space to work + a space to learn + a space to meet and connect. Impact Hub Tbilisi is a professional membership organization dedicated to individuals, enterprises, start-ups, and organizations making a positive impact in Georgia. 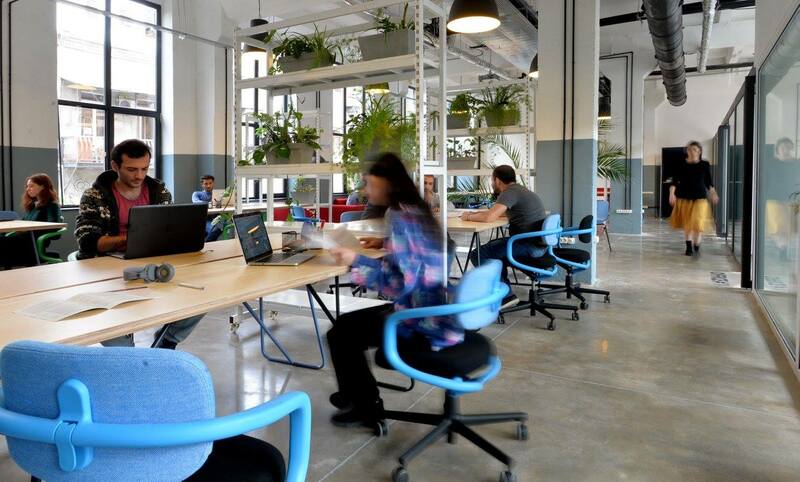 Connected to 85+ Impact Hubs and 15000+ members all around the world, Impact Hub Tbilisi offers a unique ecosystem of resources, inspiration and collaboration opportunities. Members benefit from an inspiring space, professional support and a diverse community. Impact Hub Tbilisi is located in Fabrika, a Soviet-era Sewing factory, newly transformed into a multifunctional urban space. It has an open co-working space, two meeting rooms and three offices full with natural light. Huge windows offer a great view on the historical buildings of old Tbilisi and on the Fabrika yard full of life and energy. 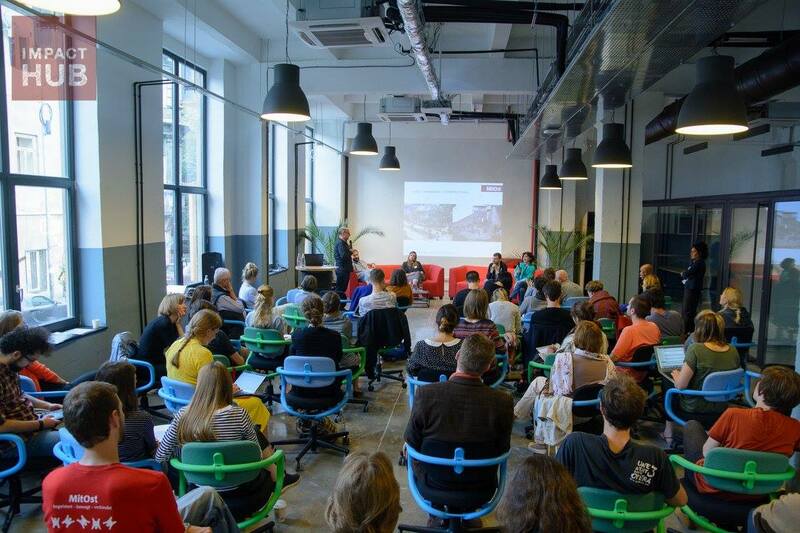 Are you a member of Impact Hub Tbilisi?
" The friendliest co-working space!" I love this place a lot! Stuff is very helpful, co-working members are very nice. Its very comfortable to work there as Impact Hub provides all the necessary stuff to help you work and feel comfortable. IH offers variety of events, that helps developing skills of co-workers and also growing network. I also love that IH regularly hosts events for members that helps building a feeling of a strong "comunity". Its also a very good chance to find a business partner and start working on the common project. The location itself and facilities are very good! I would highly recommend this place to everybody. "Amazing atmosphere, monthly meet-ups with fabulous Georgian wine, exciting events to meet Ambassadors in the country, and so much more!" I love the Impact Hub in Tbilisi because it is a progressive community for members to network, exchange ideas and meet. I love the atmosphere and design of the co-working space-- it's in an old sewing factoring, part of Fabrika, with a number of cafes and bars around. It's wonderfully pet friendly, and there are so many opportunities and events. It's often that you see a kitten or a cat in the co-working space, which adds to the joy of the experience. I'm a fan of the meet the ambassador series, as well as our monthly gatherings around wine & cheese. I love that the Impact Hub Tbilisi celebrates diversity- you can meet entrepreneurs from all over the world. This is the second coworking space in Tbilisi that I failed to get inside. The problem is the working hours - though it is stated that it works for twenty four hours every day of the week, actually you can not get inside it at evening, unless you have a monthly pass. So the place is not suitable, if you are not planning to go for a long term relationship with the city of Tbilisi . However, the staff was very friendly and helpful (I managed to talk to a staff members before the entry was closed). The location is one of the best you can find in this city. I worked at Impact Hub for a month and its a really fantastic place to choose. . Wonderful staff and a fantastic working environment and its location in the Fabrika complex means that there is always something going on .so many great bars and restaurants in the courtyard mean that you never have to go far from the office for lunch or after work drinks ,24 hour access means that you can work at your own pace . The best place to work in a vibrant and welcoming city , I cannot recommend Impact Hub and Tbilisi highly enough, i hope to return ASAP! Thanks for everything. "Everything you need from a co-working space"
The atmosphere here includes everything a professional would need in a co-working space. In addition to the standard physical amenities (wifi, printer, work station, rooms, coffee and tea, etc. ), this place offers a good atmosphere and ambiance and nice social environment. People here are more social and welcoming, it is clean an no one smokes indoors, and is pretty well maintained.This place also next to a hostel where many young travelers choose to stay, so there are plenty of different people to meet day and night. Better bring your food as there are not many places to have lunch. Impact Hub Tbilisi will be in touch with you soon to confirm. Impact Hub Tbilisi has received your membership enquiry and will be in touch with you soon.